Are you looking for a podcast on the issues? Something to stir up your passion and commitment for advocacy? Then the USC Suzanne Dworak-Peck School of Social Work has the answer! We're talking about what's going on and why it's going on. It's time for people to listen up! 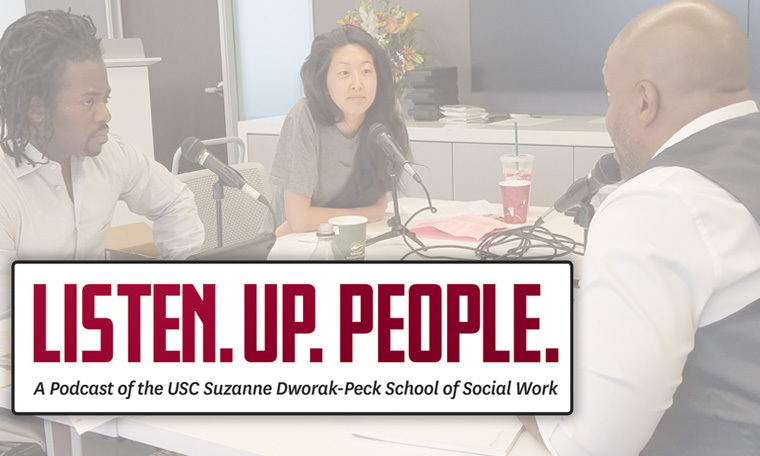 The USC Suzanne Dworak-Peck School of Social Work is committed to promoting equity and providing a supportive and protective environment for its students, staff and faculty. The school’s Sexual Harassment Task Force developed a set of recommendations for the school. The report is now available. 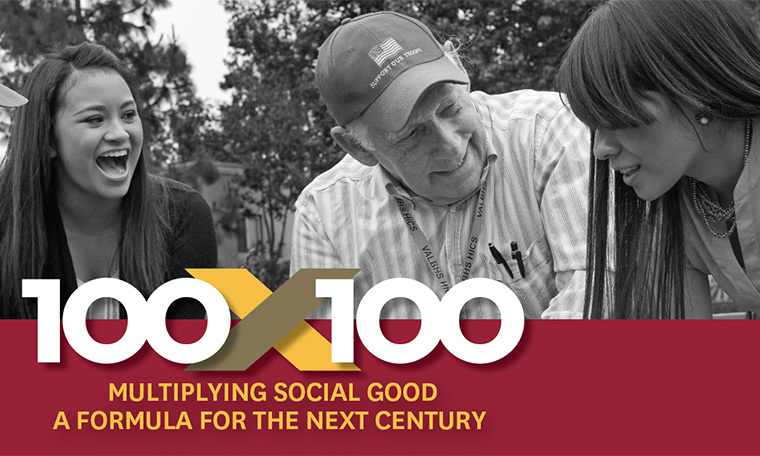 Help people and change lives by earning a degree in social work from top-ranked USC. Gain real-world, evidence-based skills that will prepare you for a career in a variety of settings, as well as the LCSW exam. Two, three and four year options are available. 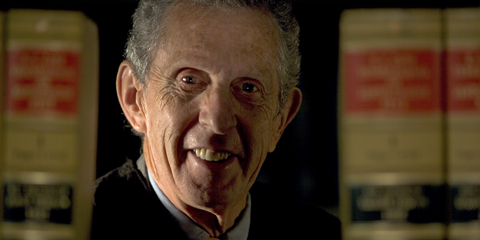 The campus-based program offers a fall semester start. 1,000 hours of comprehensive in-person field education under the supervision of trained professionals. 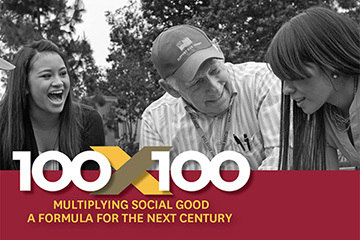 Help people and change lives by earning a degree in social work online from top-ranked USC. Gain real-world, evidence-based skills that will prepare you for a career in a variety of settings, as well as the LCSW exam. 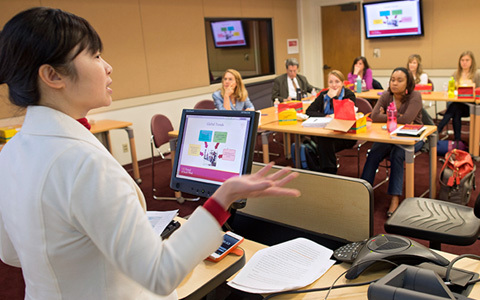 Seminar-style classes are kept small with a 12:1 student-to-faculty ratio to encourage conversation and collaboration. Full-time and part-time options are available. The online program offers rolling admissions with multiple start dates. 1,000 hours of comprehensive field education conducted online and in-person under the supervision of trained professionals. USC's campus in Los Angeles, CA and other nearby schools. The Doctor of Social Work degree is for experienced professionals who want to develop solutions to large-scale social problems. While the degree is offered in social work, this program focuses on applying innovation to create real social change. This program is for professionals who share a common interest in doing good. Professionals from a variety of backgrounds may apply to the online DSW program. These backgrounds include social work, business, law, public health, public policy, public administration, health care and other sectors. The program features 24 months of part-time study. Explore and help solve one of the 12 Grand Challenges, an initiative led by the American Academy of Social Work and Social Welfare Network and engage with innovators and leaders in social services, business and academia. 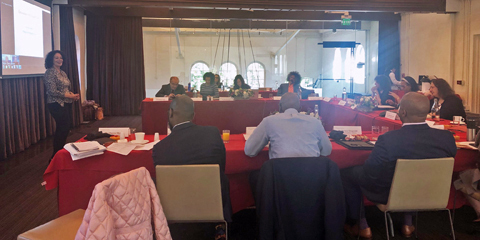 2 in-person residencies, which include group-focused discussions, workshops and off-site visits with a variety of public and private organizations. Coursework focuses on innovation, leadership and advanced management. A master's degree from a program accredited by the Council on Social Work Education or another field related to social work is required. 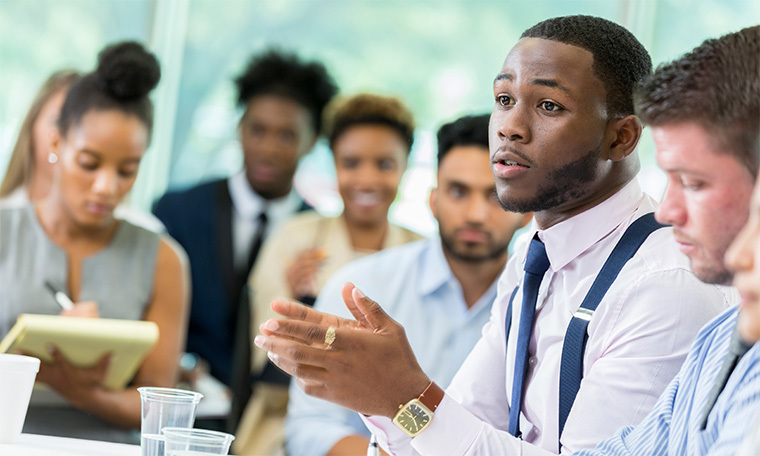 Professional competence as demonstrated through substantial experience in responsible social work, internships or other positions either during or subsequent to the master's program is required. Test of English as a Foreign Language (TOEFL) for all international students prior to the date of application is required. The PhD program is for students interested in research and teaching. Learn scientific principles and methods for conducting research and begin building a portfolio of research experience and publications. The program helps students sharpen their skills in independent inquiry, research methodology, and the communication of research results. This is a rigorous program of study that ensures students demonstrate outstanding original scholarship so that they are prepared to take on independent, long-term research commitments. Students complete the PhD program in 4 to 6 years. Pursue research opportunities as partners of our faculty and as investigators in your own right Collaborate with dedicated faculty, who take pride in close collaboration with students in research and mentoring, as well as teaching. Develop a portfolio of research and teaching that will prepare you fully for the challenges you face as the next generation of academics and researchers. 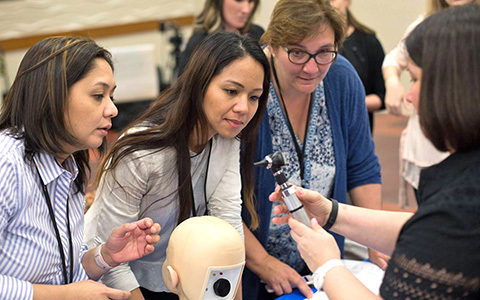 The Family Nurse Practitioner (FNP) program prepares advanced practice nurses to deliver primary care to infants, children, adolescents and adults throughout their lives. Full-time and part-time options are available with multiple start dates. Work closely with a preceptor at your placement site who will guide your experience and ensure you are meeting professional and academic milestones. 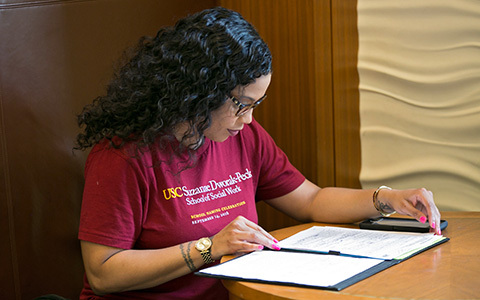 Students attend two onsite clinical intensive programs at USC's campus in Los Angeles where they will receive in-depth training and have the opportunity to network with faculty and peers. A bridge course is offered to help nursing professionals refresh their skills prior to enrolling in the program. 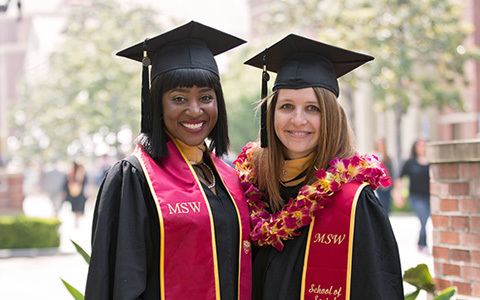 A social work education touches many lives beyond those of our MSW students. Help us provide 100 impactful scholarships to these deserving students to help relieve their burden of debt. 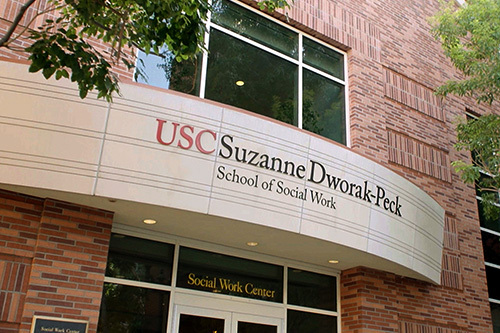 The USC Suzanne Dworak-Peck School of Social Work is a leader in social work and nursing education and research. 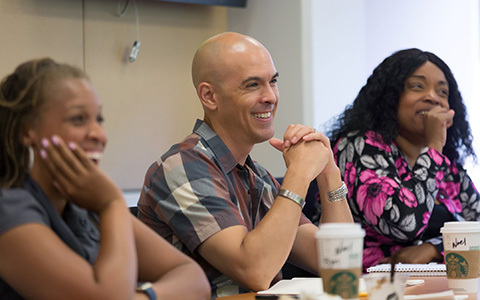 The school integrates the science of social work with real-world practice to improve the well-being of vulnerable individuals and communities and advance social and economic justice on a local, national and global scale. 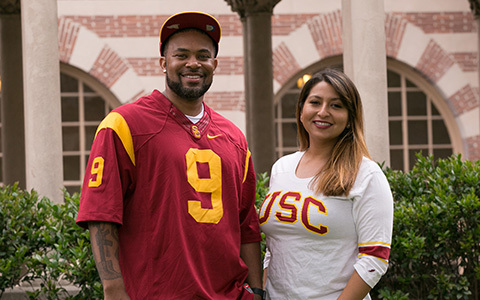 Reach out today to learn more about our world class programs, visit our campus or apply now to begin your educational journey at USC.